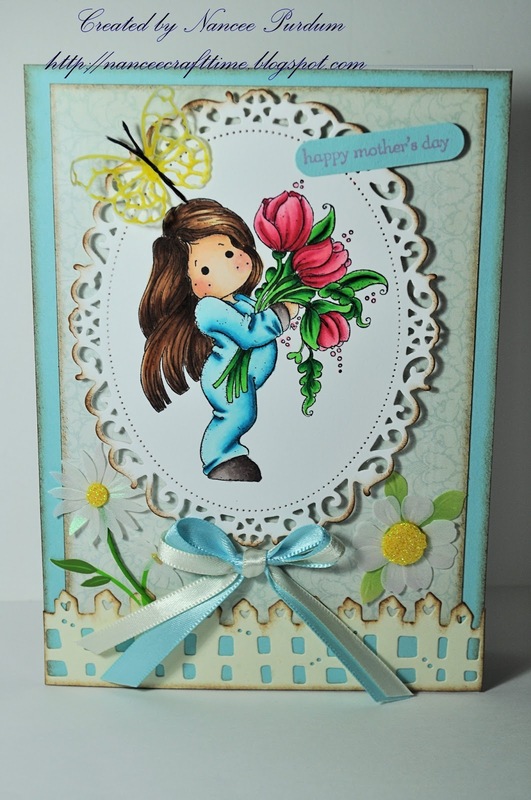 Here is the card using the Tilda Stamp…….. Sorry these are so late posting! I love both cards!! 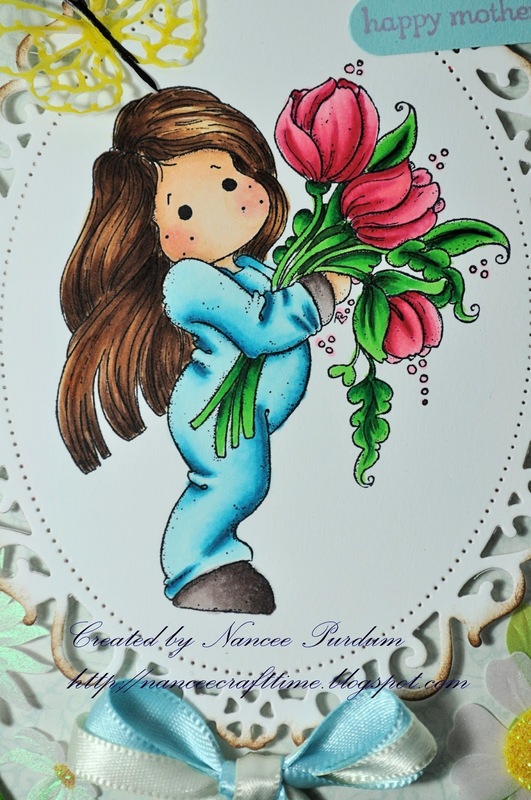 The images are colored so beautifully and the cards are so cheery and sweet. Great creations, have a nice day! Both cards are so cute and pretty, too! Wow these cards are fantastic. I love the ribbon in both card and the colours are gorgeous. Gorgeous cards, Nancee. 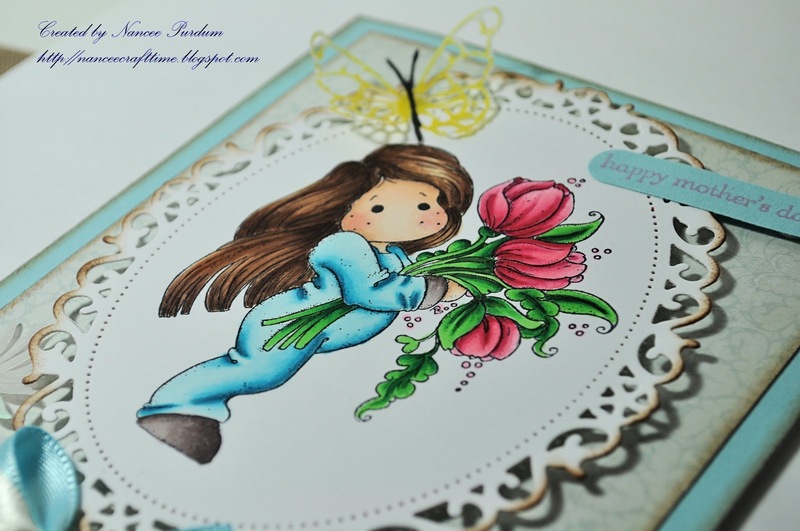 Love both these images–Wee Suzi is my first Wee stamps. Beautiful colouring. Terrific diecuts–haven't seen that rectangular one before. Lovely cards, Nancee. I love how you colored your images. Very sweet. 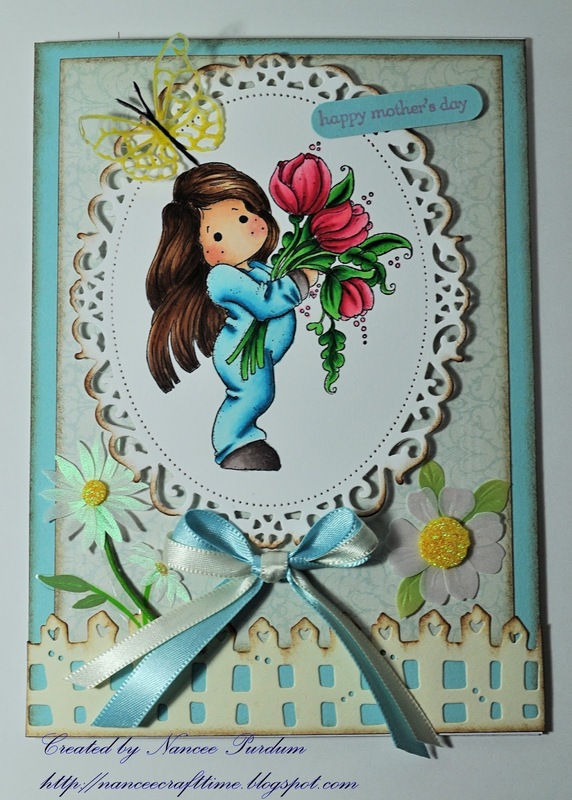 Gorgeous cards Nancee! Beautiful coloring and designing! They are both adorable! I just love your coloring!!!! Great job! !